Jeff He is the Chief Operations Officer at HiFiBiO Therapeutics. He brings more than 20 years of experience in finance, corporate strategy, and operations. Previously, Mr. He co-founded Harbour BioMed and served as its Chief Financial Officer. 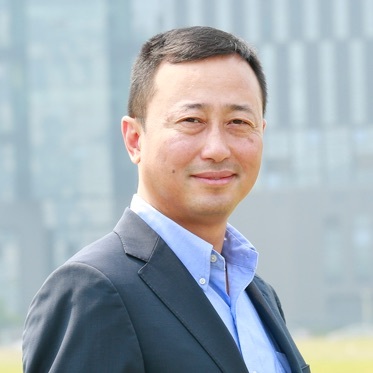 Prior to that position, he was the Executive Vice President of ShangPharma/ChemPartner, a leading contract research organization (CRO) based in Shanghai. Mr. He also served as Senior Vice President at Texas Pacific Group (TPG), where he helped to privatize ShangPharma from the NYSE. Prior to TPG, Mr. He held management roles with increasing P&L responsibilities at Danaher/Fluke and Saint-Gobain. In his early career, he was a strategy consultant at Bain & Company and a senior financial analyst at Intel. Mr. He received his MBA degree from Goizueta Business School at Emory University and his bachelor degree in engineering from Zhejiang University.